UK coverage for pest control services for rats, mice, squirrels & more. Local centres in Birmingham, Bristol, London & Manchester. Rats are the most commonly feared pests in the UK for homes and businesses. To protect your property from these pests please call us today. 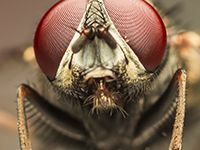 Pestbusters offer insect control for both commercial and domestic customers. Don't share your dinner with unwanted guests. Pestbusters have been serving the residential and business sectors of Coventry for many years with pest control and rodent control services. 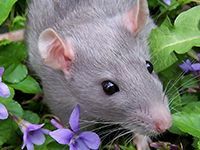 We are specialists in all aspects of vermin control, rat control, bird control, insect control and rodent control across Coventry, the West Midlands and the surrounding areas. Pestbusters offer a 24 hours a day, 7 days a week professional pest control service for the home owners and business owners of Coventry. We offer a well priced service for pest control services and we have worked on a range of problems both large and small. In the past we have worked with private homes, commercial businesses, factories, retail operations and industrial units across the entire Coventry area and we have many satisfied clients who have benefitted from our services. Whether it is an ant infestation in your home, a wasp’s nest in your garden or a rodent problem at your business premises, we have worked on several complex problems where there has been limited accessibility and difficult sources to locate. Our experience and access to the very latest equipment and products means that we can deal with most complexities that present themselves so if you are experiencing problems with a pest infestation and would like some advice then please get in touch. We will work closely with you to identify the root of the problem and provide an appropriate solution. We will also be happy to advise you on how you could avoid pest control problems in the future. 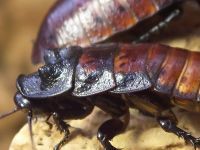 Pest infestations can be very disruptive, cause health problems, ecologically damaging and also lose you customers so the quicker you deal with the problem the better it will be. We act quickly and discreetly to deal with your problem so that you can return to business as usual as soon as possible. Coventry is well known for its cathedral, the legend of Lady Godiva and its history of bombing in the Second World War. With regards to commerce Coventry has strong links with the automotive industry and, due to its central location and infrastructure, it is seen as an attractive area for businesses looking to relocate to the area. 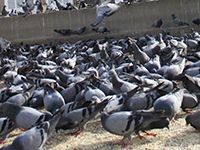 Like many UK cities Coventry is undergoing a transformation in both its commercial and residential sectors and Pestbusters has been serving both these sectors with high quality pest control services for many years. We have helped many customers in and around Coventry including Leamington Spa, Rugby, Kenilworth, Warwick, Nuneaton and Bedworth. If you are based in or near these areas and are experiencing a pest infestation problem then please contact us. We can provide you with an extensive and cost effective pest control and rodent control solution so contact us now on 08000 35 1000 and speak to one of our specialist team.